All expectations were met. Guide and driver were very knowledgeable, friendly, helpful and happy to discuss the way of Moroccan living, politics and life with us. Comfortable car. 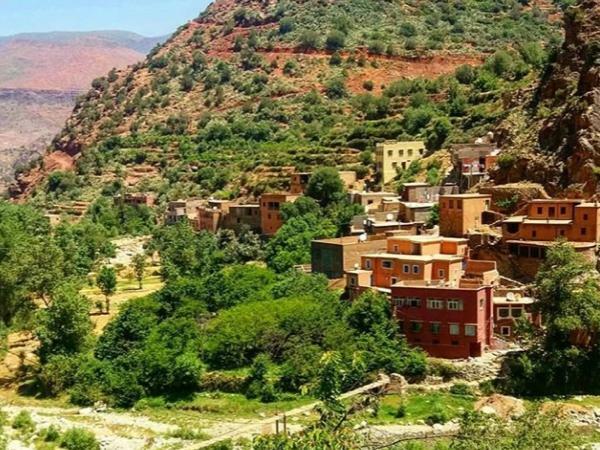 We had a wonderful drive into the Atlas mountains, plenty of opportunity to shop Berber arts and crafts as well as carpets. Much cheaper than in the city, from governmental registered operations. A great way to support the local communities. Nice lunch in the sun by the river. Again, friendly service staff. Great team! TOUR GUIDE RESPONSE: Thank you so much Annette, hope to see you again next time in my country.